I love details at a wedding. Period. Sometimes, those turn out to be some of my favorite shots (no offense to my gorgeous brides and grooms)! When a couple pours themselves into the details of their wedding, their personality shines through. From the rings, the shoes, the dress and the flowers, to the smaller things, like their favors, subtle items on their decor, the perfume bottle or cologne bottle they choose, heirloom jewelry, the cake style or colors, and so very much more! Photographing details takes time to get it all, and get it all right, so always be sure to allow us to have some time specifically for details if you want as many of the stunning shots as you can possibly get! 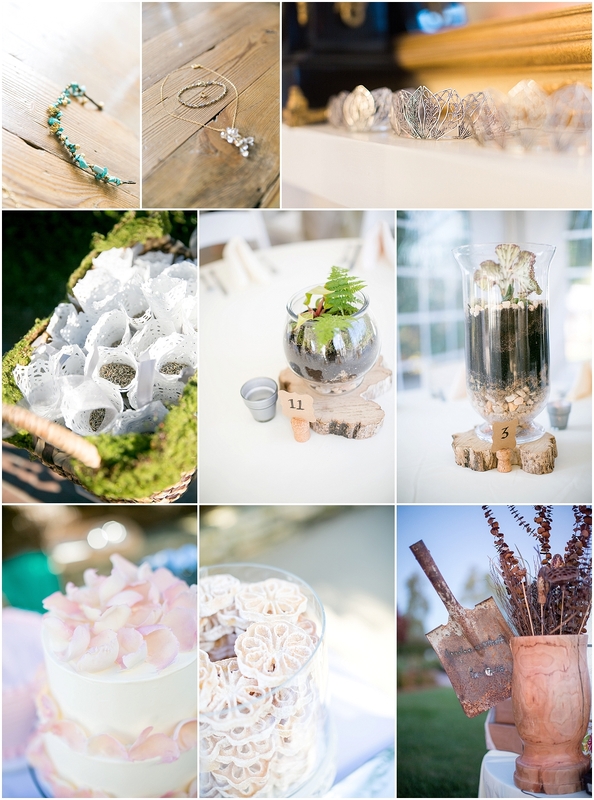 These are a few of the gorgeous details from Kaitlin & Michael's wedding, which will be coming to the blog soon! The details on their cake alone were so breathtaking! Her shoes, the rings, and that perfume bottle added some vintage glam flair to her prep time! I almost feel like Annalee & Elliott's wedding was ALL about details (it wasn't of course, it was all about them, and they sure included a lot of themselves in it!) From all of Annalee's jewelry pieces, from friends and family, to the vintage dress, the elephant ring box, and all the nature touches, it was stunning! This all brings me to one of my most recent weddings. It truly took the cake for a detail-packed wedding. It was a Lord of the Rings inspired wedding, and Ariel and Jeremy ROCKED IT! This one, I'm scared I may have missed some hidden detail somewhere, but I know I didn't. ;) Check it out! In the reception area along, we have 'one ring' under glass, shire-inspired name cards, the sword they used to cut their cake, which, as you can see, was a stack of books topped by the one ring and a hobbit house (SERIOUSLY! It was tasty too! ), the trilogy, as well as the Hobbit, centerpieces that included their own ring in each, and of course, the gray and white wizards! Honestly, what I loved the most was how much detail they put into the things they gave to their wedding party and VIPs. Each groomsman got their own hobbit pipes, of course, the groom had the fanciest one, the ladies got gorgeous birdcages to carry, each with a different design inside, and everyone had a different 'accent' piece, as well. All in all, I love the details at every wedding I get to be a part of. No, they don't make or break your wedding day, but they are a wonderful way to put your personality all over your wedding!